"A New World" 1.12.2 forge modded survival server on hard difficultly is loosely based on the colonisation of Australia or a new world. Arriving onboard one of the ships of the First Fleet you will be able to obtain a small starter kit to help you get off the spawn island, on which there are several simple public buildings for use including barracks where in your single room with just two chests you may wish to spend the night or several before venturing out on your quest to find a great place to settle. On the way you will pass through many different biomes and see a lot of interesting flora and fauna. Until eventually you find the one, that piece of land that just calls to you. And you settle down... to live a quiet life alone, or build a thriving town using the Mine Colonies mod, the choice is yours. But beware, the undead walk the earth and they are smarter, faster and may even be one of us! With Zombie Awareness and Zombie Players the challenge is real, these zombies can hear the sounds of you going about your business and will be attracted to the area. If you take damage you will bleed and the scent wafts invitingly on the breeze to bring them in ever closer. These smart zombies don't burn in the sun, can open doors and will rearrange the goods in your chests if they get a chance. Share your journey with the other players on our small server, mining, pitting together to dig out huge holes for mob farms, fighting the wither, exploring the end - the choice is yours. We do ask that you act mature, be responsible, refrain from raging, griefing, or complaining about dying (because you will). We are looking for players who are into the whole experience playing with others brings and are willing to share a little of themselves, their culture and are ready for good times and laughter. All ages and nationalities accepted (suitable for parent + child or husband + wife playing scenarios) however the majority of our player base is over 20. We do NOT do Discord, Teamspeak, Skype etc so please don't ask. We do however appreciate a good chat in game at times and many players keep connected via our servers FACEBOOK GROUP. The world is approx 6 weeks old with approx 15 regular players, 10'000 block world order to promote community and player interaction. 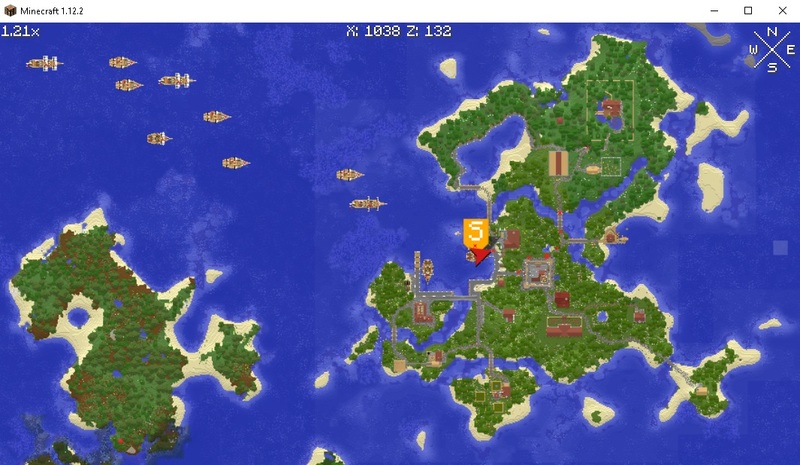 Inserted photo : map of spawn created using MineColonies buildings that have been "repurposed". Photo 1 : Church (adapted from medieval oak town hall) and graveyard at spawn for players to place the gravestone from their very first deaths! Photo 2 : Pirates at Spirit Of Woodys colony! Photo 3 : Public storage building at spawn (repurposed medieval oak warehouse). Hey I'm 19 year old guy from the US, my minecraft name is MonzterAssassin. (13.04.2019, 03:29)NathanLinn Wrote: Hey I'm 19 year old guy from the US, my minecraft name is MonzterAssassin. Welcome ! Ill private message you the details you need to get started. Current time: 22.04.2019, 08:01 Powered By MyBB, © 2002-2019 MyBB Group.